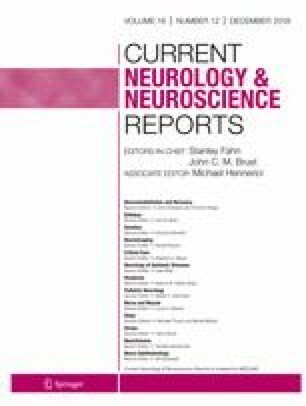 Measurements obtained during real-world activity by wearable motion sensors may contribute more naturalistic accounts of clinically meaningful changes in impairment, activity, and participation during neurologic rehabilitation, but obstacles persist. Here we review the basics of wearable sensors, the use of existing systems for neurological and rehabilitation applications and their limitations, and strategies for future use. Commercial activity-recognition software and wearable motion sensors for community monitoring primarily calculate steps and sedentary time. Accuracy declines as walking speed slows below 0.8 m/s, less so if worn on the foot or ankle. Upper-extremity sensing is mostly limited to simple inertial activity counts. Research software and activity-recognition algorithms are beginning to provide ground truth about gait cycle variables and reveal purposeful arm actions. Increasingly, clinicians can incorporate inertial and other motion signals to monitor exercise, activities of daily living, and the practice of specific skills, as well as provide tailored feedback to encourage self-management of rehabilitation. Efforts are growing to create a compatible collection of clinically relevant sensor applications that capture the type, quantity, and quality of everyday activity and practice in known contexts. Such data would offer more ecologically sound measurement tools, while enabling clinicians to monitor and support remote physical therapies and behavioral modification when combined with telemedicine outreach. This study received financial support from the American Heart Association—Bugher Foundation (14BFSC17810004), National Institutes of Health (HD071809), and the Dr. Miriam and Sheldon G. Adelson Medical Research Foundation. Bruce H. Dobkin and Clarisa Martinez each declare no potential conflicts of interest.